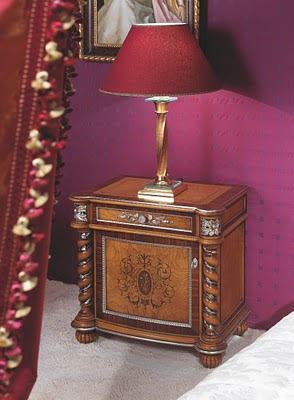 The typical 18th-cent sumptuousness made delicate and refined by the elegant solid wood hand carved by skilful artists and the delicate multi- wood veneers inlaid with mother-of-pearl details. 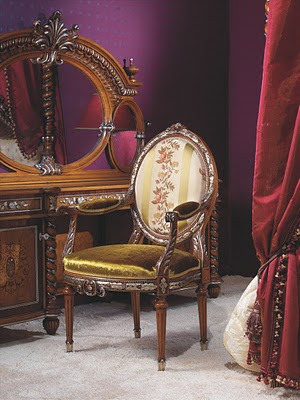 The use of the baroque spiral with flower detail finished in antiqued gold leaf with french patina giver that regal touch so typical of this historical period . 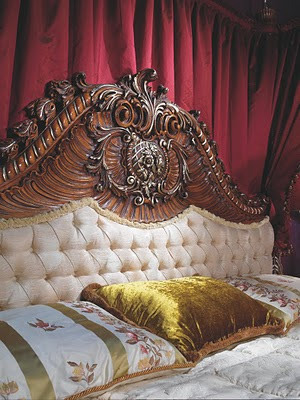 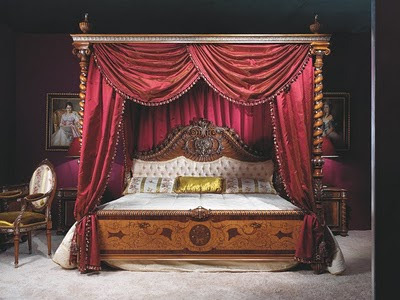 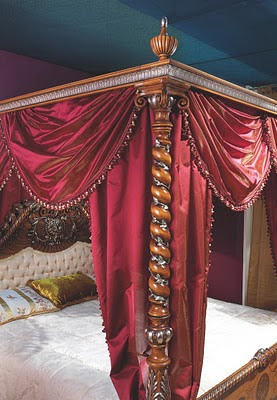 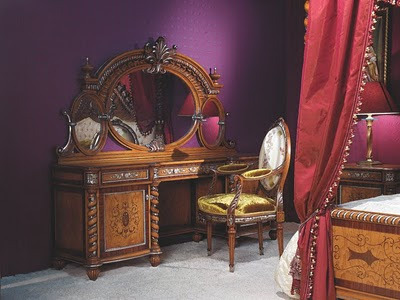 The rich drapes of this antique Italian bedroom Furniture are hand-made with precious silks and elegant braiding see also Italian office furniture , Italian classic dining Room , and Italian sofa Set antique furniture.